Our designing team deals with important aspects of technology, ergonomics, usability, human factors, material technology & qualities. Our designers are well versed with skills needed to bring products from conceptual stage to market. Our engineering team mainly concentrates on the function, mechanism and also aesthetics, leading to approval of any kind of product assembly, maintaining quality in work and assuring on time delivery. 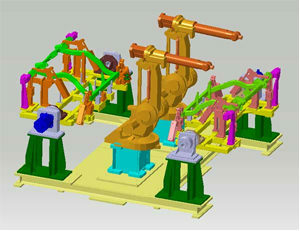 Our team includes highly experienced and qualified design engineers for automatising the process. 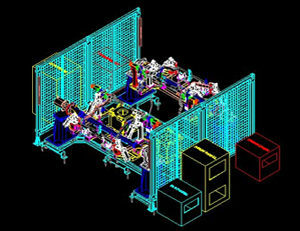 Mechatronics is our core strength. Our team consists of experts in designing of welding fixtures, CNC machining fixtures, Special Purpose Machines and Assembly Automation.